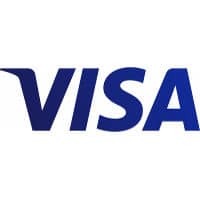 More than four million customers have now signed up for Visa Checkout since its launch in July last year, and more than 125,000 merchants are now accepting the online checkout service along with 260 financial institutions globally. The average order total placed through Visa Checkout is 7% higher than orders placed on retail and travel sites using other payment options, research conducted by ComScore has revealed, while Visa Checkout shoppers are converting to online buyers at a rate of 69%. Enrolled users are also 66% more likely to complete a transaction than those who must enter billing and card information in the traditional online checkout path. The payments network has also signed up new merchants that will accept Visa Checkout as a payment option this week including Dunkin’ Donuts, Fandango, Sundance Catalog and Williams-Sonoma in the US, Pizza Hut, Ticketek and Bonds in Australia, and Indigo, Roots, Running Room and Simons in Canada. The service is expected to be made available in 16 markets by the end of this year, including Argentina, Brazil, Canada, Chile, China, Colombia, Hong Kong, Malaysia, Mexico, New Zealand, Peru, Singapore, South Africa, United Arab Emirates and the US.